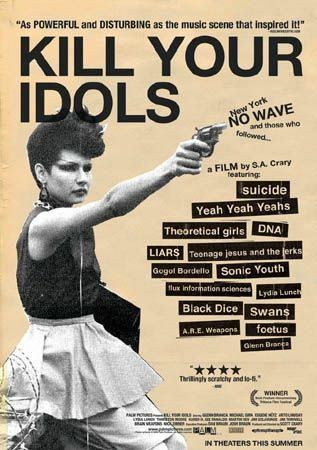 Scott Crary’s documentary Kill Your Idols is a sweeping look at New York’s No wave and art punk movements, and starts in the 1970s with acts like Suicide and DNA and goes all the way up to the early 2000’s with young acts like Yeah Yeah Yeahs, Liars and Black Dice. Through clever editing, Crary tells the story of this difficult (for some!) style with clarity and wit, and features interviews from members of Sonic Youth, Teenage Jesus and the Jerks, Swans, Gogol Bordello and more. No Wave bands have the best names, don’t they? Music Driven is presented in partnership with Noisey. Featuring Absolut Vodka cocktails.